The Law Enforcement Action Partnership's speakers are our best asset, and frankly, we can't brag about their hard work enough. 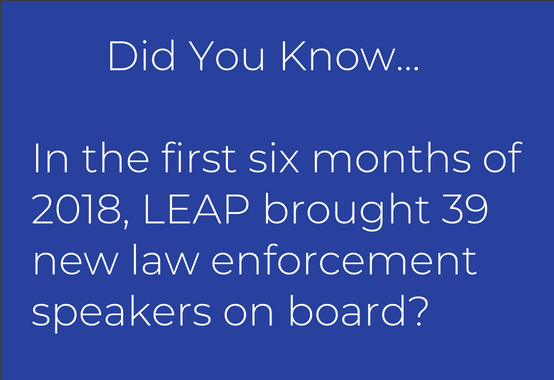 From making a difference in their own communities to throwing their weight behind groundbreaking legislation that impacts us all, LEAP speakers are the law enforcement professionals changing criminal justice policy for the better. "LEAP Quarterly" will keep you in the loop about the crucial issues we're working on and provide a space for us to highlight some of our best and brightest throughout the year. Maryland State Police & Baltimore Police Depts. Alabama: US Attorney Kenyen Brown (Fmr.) testified against a fentanyl mandatory minimum bill. His testimony made a big splash-- a story on it was picked up by the AP, representatives asked him how they could change the bill to fix it, and they ultimately switched to an amended version of the bill. Arizona: Deputy Sheriff Jay Fleming (Fmr.) authored an op-ed pushing for the governor to sign a Good Samaritan Law as part of his opioid reforms. It was published in the Arizona Capitol Times. The Herald/Review conducted an in-person interview with Fleming, and published a follow-up article. Fleming also delivered oral and written testimony in support of a syringe exchange bill. Former corrections officer and retired criminal justice professor Dr. Michael Gilbert published an op-ed in the Arizona Capitol Times in support of justice reinvestment in Arizona, and the Capitol Times also interviewed Sergeant Terry Blevins (Ret.) about sentencing reform and prison data. California: LAPD Deputy Chief Stephen Downing (Ret.) and Judge Jim Gray (Ret.) 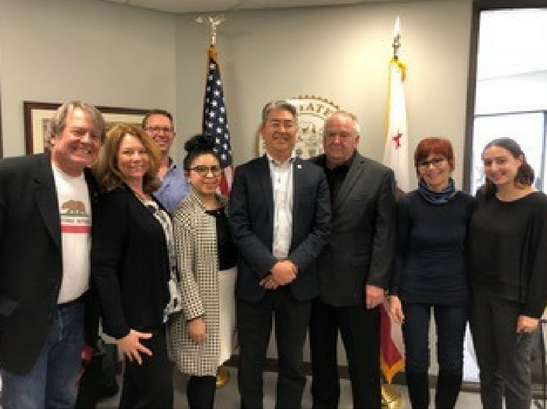 met with Assemblymember Al Muratsuchi in his district office about bail reform along with a California ally group. Major Neill Franklin (Ret.) testified on two sentencing reform bills. Judge Gray spoke in the media about marijuana legalization and financial bail reform. Lieutenant Diane Goldstein (Ret.) published an op-ed on the misuse of jailhouse informants in the Orange County Register. Sergeant Terry Blevins (Fmr.) presented on promising responses to the opioid crisis to a training program for county officials. 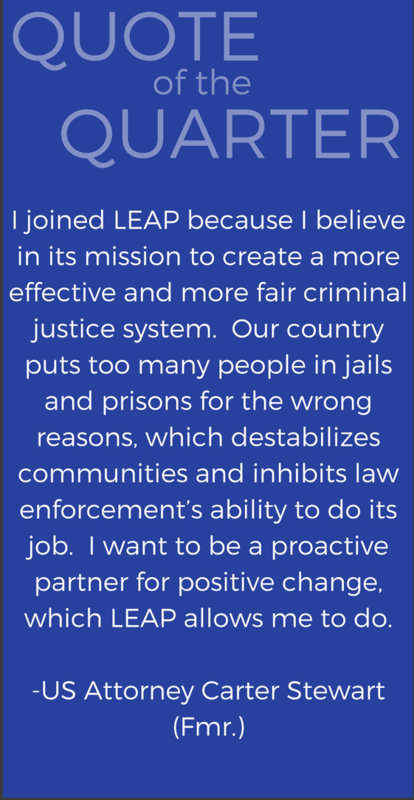 LEAP was also able to use its influence to convince a high-profile but anonymous law enforcement partner to contact a key district attorney and state legislator, urging them to support bail reform legislation. Colorado: AUSA and ADA Jake Lilly (Fmr.) gave written and oral testimony in support of the Colorado Right to Rest Act, to stop the criminalization of homelessness. Deputy Sheriff Carrie Roberts (Fmr.) published an op-ed in The Gazette in support of the same, in conjunction with Maria Foscarinis, Executive Director of the National Law Center on Homelessness and Poverty. Deputy Marshal Jason Thomas (Fmr.) advised the Colorado executive branch on marijuana regulations. Florida: Sheriff Jim Manfre (Ret.) and Federal Agent Ray Strack (Ret.) gave oral testimony in support of syringe exchange programs. Col. David Parrish (Ret. ), Asst. Chief John Bennett (Ret. ), Sheriff Jim Manfre (Ret. ), Chief Robert Hoffman (Ret. ), Special Agent Ray Strack (Ret. ), and Officer Christine Italiano (Ret.) all endorsed the Second Chances campaign to end the permanent voting rights ban for people convicted of felonies in Florida. Georgia: Former District Attorney J. Tom Morgan’s op-ed on bail reform appeared in the Atlanta Journal-Constitution. Illinois: LEAP helped organize the region’s first-of-its-kind gubernatorial candidate forum focusing on criminal justice policy at WTVP Studios, a local PBS affiliate, alongside community leader Jehan Gordon-Booth. The event was a resounding success, and PBS plans to broadcast the footage closer to the election. Louisiana: Special Asst. US Attorney Jake Lily (Fmr.) published an op-ed on criminal justice reform in The Advocate. Maryland: Major Neill Franklin (Ret.) testified and spoke at a press conference, opposing the governor’s crime bill, which would increase fentanyl mandatory minimums. He also published an op-ed opposing the crime bill. Additionally, Franklin testified in support of a marijuana legalization ballot initiative. Michigan: Detective Sergeant Ted Nelson and Sergeant Steve Miller testified in support of a civil asset forfeiture reform bill. Nelson’s testimony was quoted in an “insider” Michigan newsletter, read widely by legislators, and he was also featured in the Justice Action Network’s “Justice Reform This Week: 5 Things to Know” news brief. New Jersey: Officer Nick Bucci (Ret.) met with the state Senate Majority Leader and an undecided Assemblyman to discuss efforts to legalize and regulate marijuana in the state. Commissioner and former Director of Public Safety Jiles Ship spoke on an expungement panel in front of the New Jersey Assembly Judiciary Committee. Chief Brendan Cox (Ret.) spoke at a press conference on state legislation to allow safe consumption spaces to prevent overdose. LEAP submitted written testimony in support of two civil asset forfeiture reform bills. New York: Following NYPD Detective Joanne Naughton (Ret.) and Deputy Inspector Corey Pegues (Ret. )’s testimony against existing NYPD marijuana enforcement practices, the Office of the Inspector General for the NYPD reached out to us requesting regular consultation calls on a variety of topics that may be beneficial to their department. 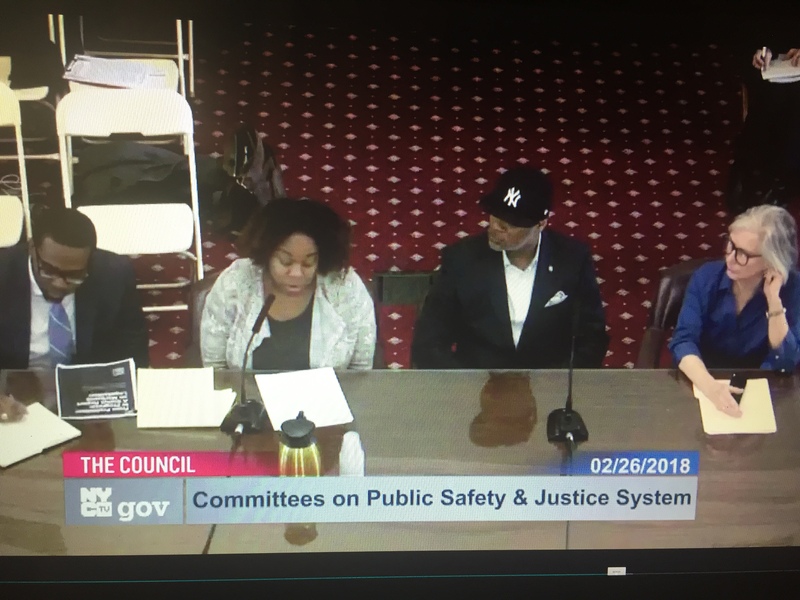 Naughton and Pegues spoke at a marijuana enforcement hearing, and spoke to AM New York about why police should support marijuana legalization. BRIC TV published a documentary profile of Pegues. Pegues also published an op-ed in the New York Daily News criticizing New York City’s addiction to marijuana arrests despite its policy of decriminalization, and was interviewed by the New York Times about body cameras and the NYPD. 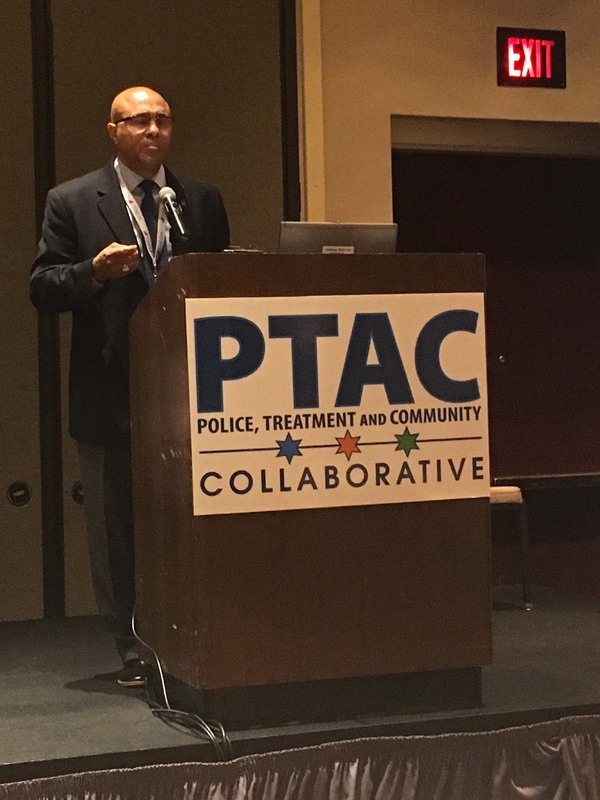 Chief Peter Volkmann presented at an ally’s statewide convening on diversion and harm reduction efforts in upstate New York. 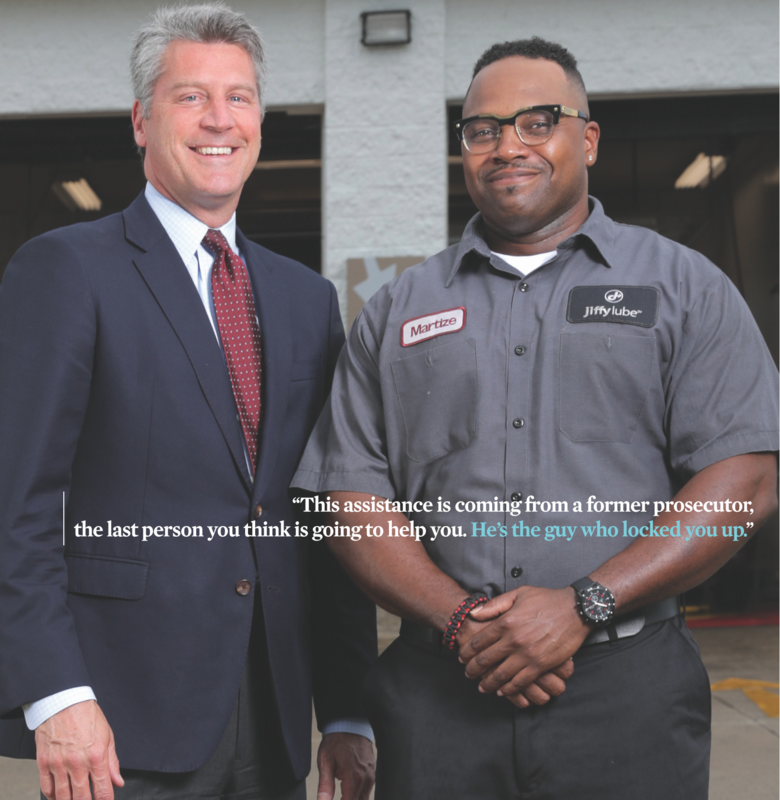 Ohio: LEAP has recruited prominent law enforcement officers from around the state to educate voters on the Neighborhood Safety, Drug Treatment, and Rehabilitation Amendment and has become an important voice in the campaign. Texas: Quotes on incarceration from LEAP speakers Judge Beckie Palomo and Justice Rebeca Martinez, as well as Sheriff Sally Hernandez, were featured in the Women’s Justice Report by the Texas Criminal Justice Coalition. Justice Rebeca Martinez spoke on a conference panel, “Diversion, Pretrial, Sentencing Reform, Women’s Incarceration,” about the unique challenges women face in the justice system. South Carolina: Officer Raeford Davis (Fmr.) appeared in a public service announcement about medical marijuana. Southern US: Our Southern speakers provided quotes to the Vera Institute’s rural incarceration project, to be used in meetings with state legislators in highly incarcerated counties. 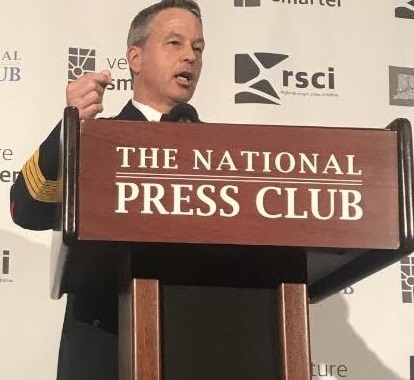 Nationwide: LEAP has been increasingly meeting with Congressmen and women as well as legislators on the state level both to endorse legislation, and even more importantly, to consult on that legislation before it is written so as to make reform more likely to be accepted and implemented by law enforcement. 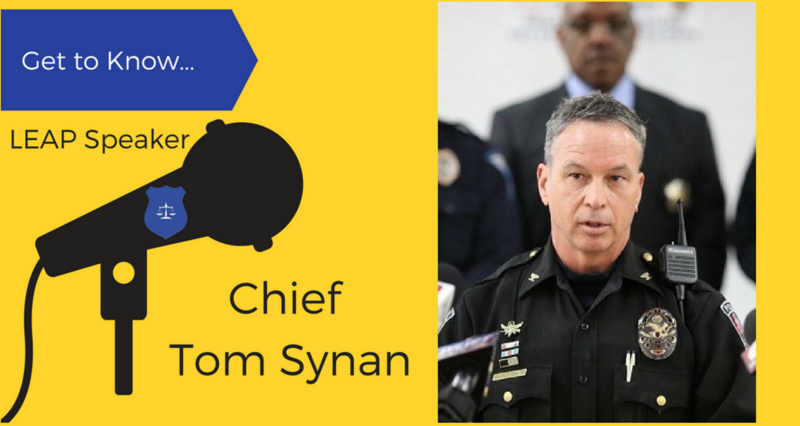 Chief Tom Synan began his law enforcement career in 1993, rising through the ranks of the Newtown, Ohio Police Department. 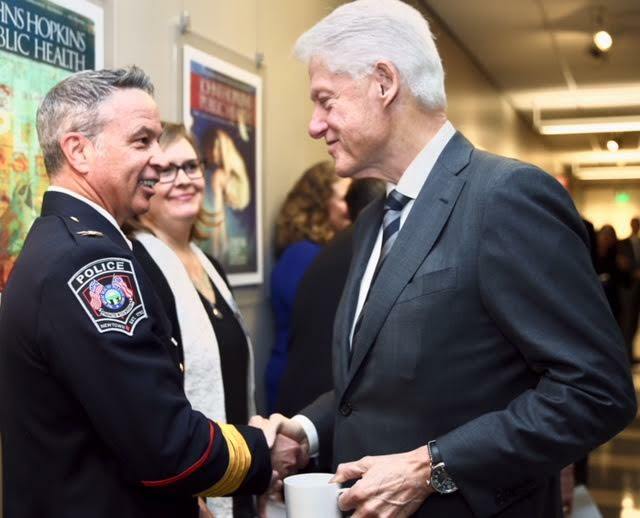 He began serving as tactical team leader of Newtown's SWAT team in 2007, and was quickly promoted to his current role as police chief. Chief Synan's tenure has been marked by a strong commitment to addressing the opioid epidemic. He leads the Hamilton County Heroin Coalition, and created a strategic action plan directing resources to treatment, preventive education, naloxone training, and access to methadone. His recent op-ed, Surrounded By Pain, I Witnessed the Meaning of Love, tells the story of a father desperately trying to save his daughter's life as she battles heroin addiction. It resonated deeply with LEAP's staff, and we are beyond proud to call Chief Synan a LEAP speaker. 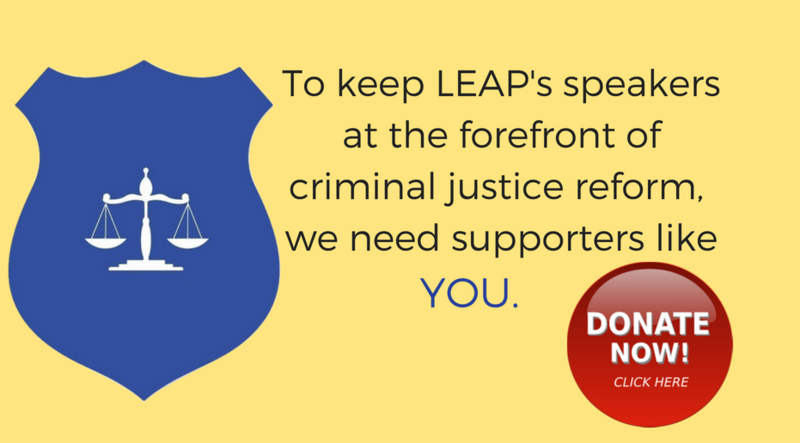 LEAP speakers have testified on a number of critical reform issues, including sentencing reform, financial bail, parole and probation reform, civil asset forfeiture, compassionate release, marijuana policy, mandatory minimums, and syringe exchange. We’ve also joined forces with reform-minded allies to advocate for critical reform issues as a unified front via sign-on letter. Following our testimony against existing NYPD marijuana enforcement practices, the NYPD reached out to LEAP requesting regular consultation calls on a variety of topics that may be beneficial to their department. Our UK team has been hard at work in the first half of 2018. 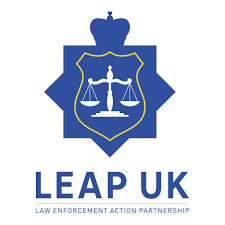 Following a mention in the prestigious British Medical Journal, which called law enforcement voices - and LEAP UK specifically - the key to drug policy reform, LEAP UK's podcast, Stop and Search with Jason Reed, was nominated for three British Podcast Awards, taking home the silver for both Smartest Podcast and Current Affairs.